We just wanted to take a moment to tell you about our first real cruise aboard Q.E.D. 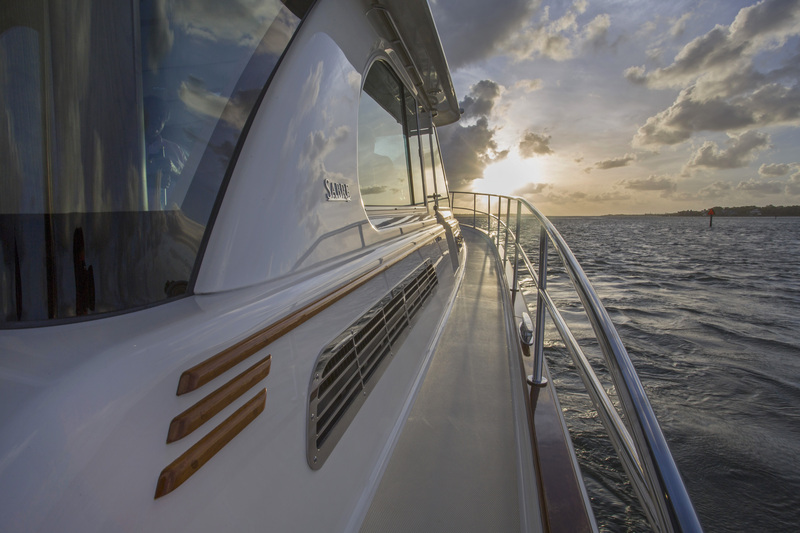 We were out 9 days going from Stuart Corinthian Yacht Club to Fort Lauderdale, Ocean Reef, and Miami Beach. While we were concerned about taking a brand new boat, we were confident that help was close by should any problem arise. Nothing of significance did. She exceeded all our expectations in every way. We had several passages with very confused seas such that some of the bigger boats decided to duck into the ICW. Not us. We led a group of the boats on one of the tough days and she performed better than we could have hoped. But it was not just underway that she was terrific. From cocktails aboard one night when we had 18 people who all decided the cockpit was the place to hang out to quiet dinners for the two of us, everything worked in an outstanding manner. So many simple design items made the trip really fun and rewarding. We keep finding more and more space for storage and had aboard enough food for a month or more. And that did not include the storage for certain adult beverages that were consumed. Everyone who came aboard raved about the fit and finish. 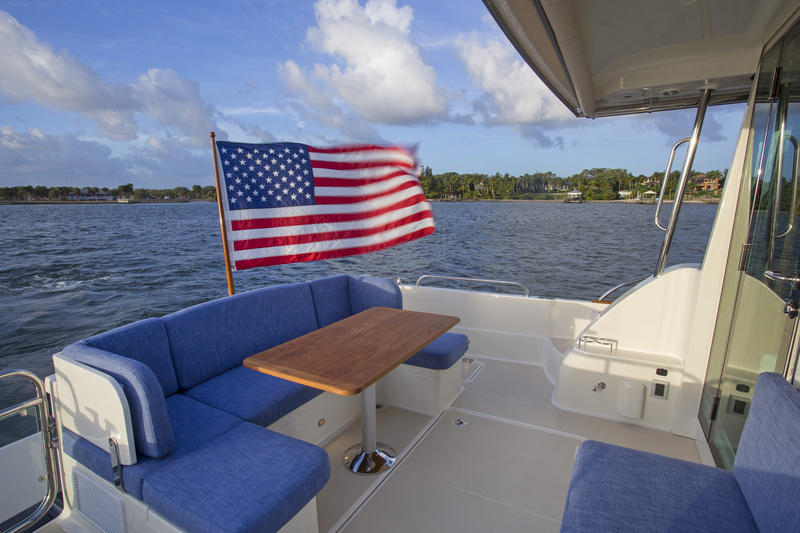 The little touches such as the woodwork in the entire boat and particularly the curved headers on doors and around the helm area make the boat a piece of high grade furniture that is better than we have ever seen other than on other Sabre’s. At the end of the trip, we have to search to find anything that did not work as designed. We only added a few items like two drawer latches that need adjustment! We cannot thank all of you enough for the outstanding job everyone at Sabre has done to bring this project to completion in such an outstanding manner. We hope you sell more than a hundred of these! 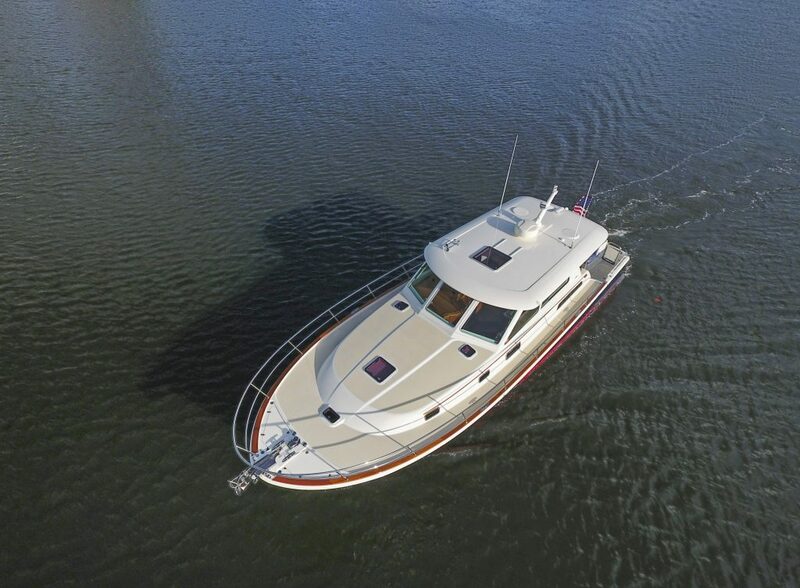 This entry was posted in Sabre Yachts Blog and tagged boating, boating industry, boats, cruise, cruising, motoryacht trial, motoryachts, sabre, sabre 45, sabre yachts, shakedown cruise, trial, yachting, yachts. Bookmark the permalink.